I have tried typing the same formula directly in the spreadsheet and it also does not work with relative references, but it does work with A1 style references. As far as I can tell these relative references are correct as specified in the help file. at BuildWorksheet() in C:\Projects\Test\Test\ViewModels\WSViewModel.cs:line 350</StackTrace><ExceptionString>GrapeCity.CalcEngine.CalcParseException: Invalid cell reference or name. It seems that formula is incorrect. 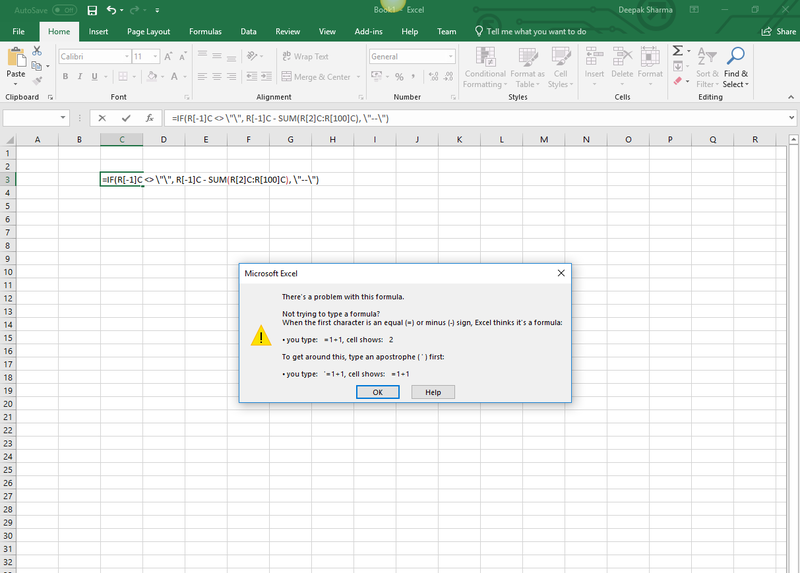 I tried to use this formula in Spread Designer and MS Excel it does give error. Please refer to the screenshot. It works in Excel as expected if I take out the \ characters (it was C# code in my message, not a direct formula), and enable R1C1 reference style. The given formula works absolutely fine with Spread WPF/Silveerlight Designer. It also works if I enter the formula in cell at run time. "System.ArgumentOutOfRangeException: 'Length cannot be less than zero.'"